On 25 October the law firm Domański Zakrzewski Palinka was named Law Firm of the Year: Poland by The Lawyer magazine. This is the first time that The Lawyer has had an exclusive category for Poland and DZP was nominated among three other Polish law firms. This prestigious international distinction is awarded in recognition of an exceptional year's performance and for managing the pressures of the economic environment while maintaining high levels of client service. The judges valued our law firm for winning new clients and carrying out an innovative transaction and for its increased strategic vision during the year. It is second that significant award our law firm received this year. 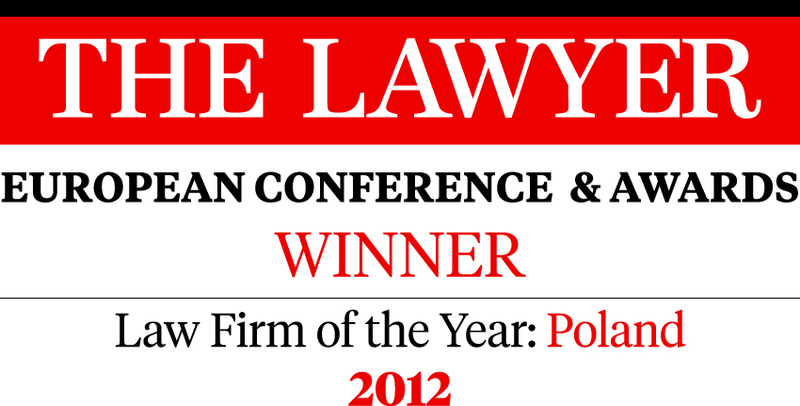 In May 2012 Chambers and Partners awarded us in exclusive category Poland - National Law Firm of the Year.